Its only 24 hours in a day everyone gets…sometime this looks too small to finish work considering multiple task given however there are some people who achieve more with their time than others….the only difference between the two good time management. In today’s corporate world of highly competitive environment when your bosses transfer multiple task and wants everything to on the table in one day, Time management becomes the most critical component. On the other hand consistently meeting your deadlines at the last minute will give you the false impression that you are succeeding at managing your time, but it will eventually leading you towards failure. Improving your time management skills doesn't require any specific abilities it is only making strong habit of finishing the task on time. Many people complaint that they don't even have the time to apply Time Management in the workplace! They think it's wasting their time. Yet, there are some quick and simple tips that will make you efficient in the workplace and will ensure that you keep a balanced work life. So lets first define what is time management- Time Management refers to managing time effectively so that the right time is allocated to the right activity. 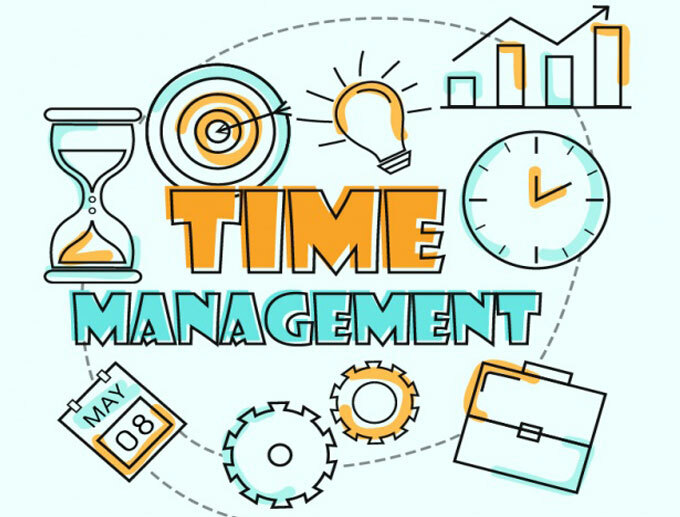 Effective time management basically is to assign specific time slots to activities as per their importance. B) Priorities Work: Focusing on urgent and important tasks rather than those that are not important. C) To Do List : Many of us write our to do list each day however most of us do not do this work for more than 4 days. In order for time effective we priorities the work every day and more importantly follow this every single day. D) Review The Progress: Continuous monitoring of the identified work is important so that one can adjust the work accordingly. E) Avoid Postponing: The best time to do something is usually NOW. Its critical to take decisions immediately when possible as delay will ensure that one end up wasting more time in same work.